Sophia Schmid graduated in law at the Friedrich-Alexander-Universität of Erlangen. She joined Schaffer & Partner in 1998, became an associate of the firm in 2003 and mainly advises medium-sized companies on all areas of business law. 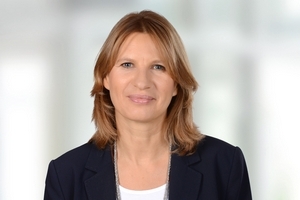 Together with Günter Mederer, Sophia Schmid is the head of the legal department. Since 2003, she has been certified specialist in labour law. After having extended her field of activities, she also qualified as a certified specialist in commercial and corporate law in 2009. Sophia Schmid is a member of the German Bar Association and co-author of two books published by Erich Schmid Verlag about managing directors’ and shareholders’ compliance focussing on obligations, liability risks and strategies of avoidance.